Main Steel Polishing Company, based in Tinton Falls, New Jersey, is the largest national toll processor of stainless steel and other metals. Throughout the United States, the company operates with facilities in New Jersey, Pennsylvania, Ohio, Georgia, Illinois and California. 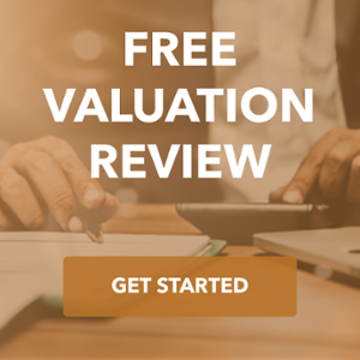 The TKO Miller team had a longstanding relationship with the company, having advised them on their divestiture of the Main Tape business in 2002, and a subsequent debt refinancing in 2003. In 2010, the shareholders engaged us to market the company. The TKO Miller team contacted potential strategic and private equity buyers who would benefit from Main Steel’s geographic footprint and extensive metal processing capabilities. Craig Bouchard (former co-founder of Esmark, Inc.), had recently formed Shale-Inland, a company focused on consolidating stainless and carbon steel distribution, stamping and fabrication in the United States. Mr. Bouchard worked with The Stephens Group (one of the early investors in Walmart) and GE Capital. Main Steel aligned perfectly with Craig Bouchard’s growth plan, and Shale-Inland quickly put forth an attractive offer to acquire the company. 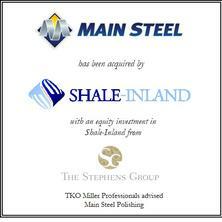 Shale-Inland purchased Main Steel in 2011. The purchase established a solid platform for Shale-Inland, which they have grown both organically and through acquisitions.